In the last decade, occupier activity shifted from the inner metropolitan precincts of Sydney (Northern, South and Inner West) to the Outer West precincts of Sydney (Outer Central West, Outer South West and Outer North West), following development stock west as lower rents and the ability to build larger buildings to suit major retail and logistics users. From 2008 to 2012 the Outer Central West precinct has accounted for 50% of gross occupier demand in Sydney. The Inner West accounted for only 12% over the same time period. However, this year there is evidence that a shift in occupier preference is having an impact on leasing activity. In the 2013 year to date, the Inner West precinct has accounted for over 22% of the 434,900 sqm of gross occupier demand. Logistics, retail and wholesale trade sectors have been the most active in the Inner West, accounting for 75% of demand in 2013. Groups with parcel handling functions are driving this requirement. Real estate accounts for an estimated 5%-7% of a business’s total operating costs. Transport, inventory and labour make up the lion’s share. Increasingly, industrial occupiers are attempting to analyse the complete operating cost impacts that occur as a result of their real estate location decision. Using Logix – Jones Lang LaSalle’s proprietary supply chain analytical tool – these cost impacts can be demonstrated effectively. We have compared two sites, one in Erskine Park in the Outer West of Sydney and the other in Chullora in the Inner Central West of Sydney. The Chullora facility commands a rental premium of $15/sqm p.a. Assuming the facility size (10,000 sqm), customer and client base, and average trip numbers remain the same, a business choosing to run a single distribution centre from Chullora in the Inner West could make substantial net operating savings by reducing their average weighted distance travelled – and hence their transport spend – despite the real estate cost premium incurred in Chullora. While many occupiers will continue to relocate to the Outer West in order to occupy larger, purpose built facilities, we expect to continue to see further improvement in demand for accommodation in the Inner West as more occupiers comprehend the full impact of location selection on their total operating cost base. 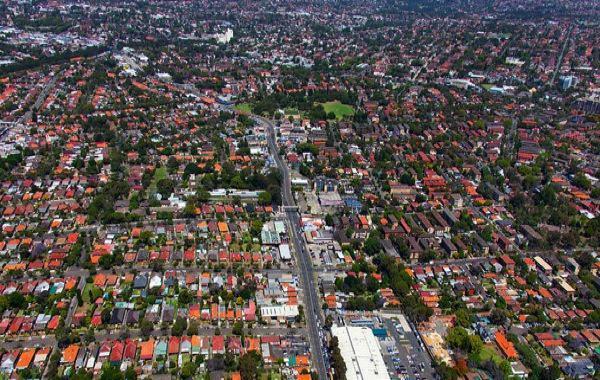 While the supply of development land in the Inner West is relatively thin, demand for remaining sites will remain strong, and we are likely to see more refurbishment or redevelopment of existing facilities that do not have rezoning potential. Leighton Waugh is a Research Analyst for Jones Lang LaSalle, based in Sydney, Australia.